On August 27, 2014, the National Institute of Health (NIH) released an update to the current guidelines for scientists who receive NIH funding to study genomics. In the new policy, the NIH mandates that all funded data in genomics be posted online with the intent that the information be accessible to other researchers. Given the recent and heated debate about the ethics of sharing human biological and genetic material within the scientific community, it would appear that the NIH has chosen to bunk with the camp promoting rapid scientific discovery as being paramount over consent. However, you will also find that tucked very neatly within this update, are more specific guidelines for gaining informed consent of the participants who are contributing this genomic data. As of January 25, 2015, all funding applications to the NIH proposing large-scale human and non-human projects must meet these requirements. Specifically, researchers are now required to tell study participants that their de-identified data (and thus genomic information) may be shared with the scientific community for future research, as well as with the general public. This requirement also applies to research using de-identified cell lines or clinical specimens. This policy is groundbreaking because previously, researchers were simply required to discuss with potential participants the goals of the current work, and study subjects gave their consent to participate based on this discussion. Because of the vagueness of these requirements, there have also been many instances of human biological data being initially collected (with or without consent) for one study or clinical use, but being shared and used for a multitude of other unapproved applications. This lack of transparency has lead to widespread mistrust of both the medical and scientific professions, particularly by people of color. One of the most famous examples of this is the case of Henrietta Lacks (1920-1951). Henrietta was an African-American woman whose cancer cells (denoted by HeLa cells) were used to generate a cell line that has served as the basis for a multitude of groundbreaking work in cancer research. However, Henrietta did not consent to, nor was she even informed of the possibility of the use of her biological material for scientific work before her death at age 31. Likewise, consent was not obtained from any of her family members before or after her death. In fact, for decades, the Lacks family were not even aware that Henrietta’s cells were used for research, despite its ubiquitous use in a variety of places, from molecular biology labs to medical school classrooms. 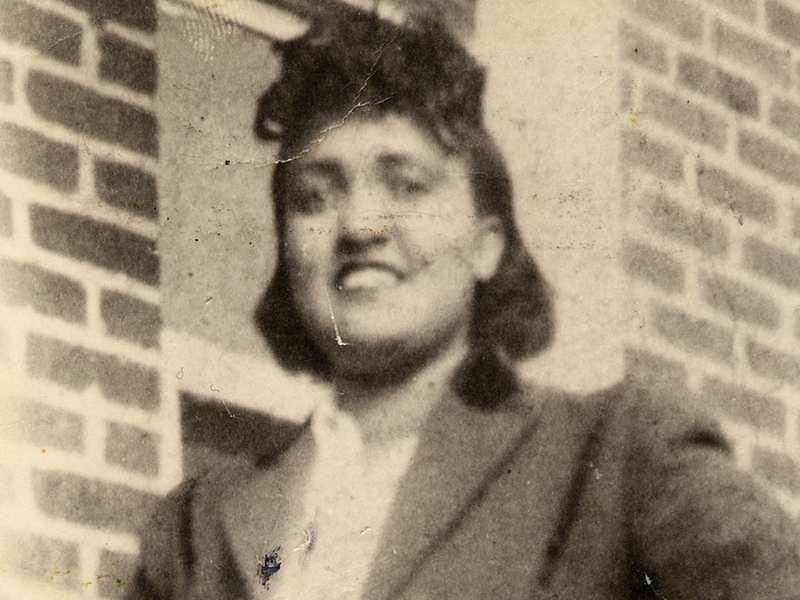 The family of Henrietta Lacks made their vehement objections known to the public and to NIH in 2013, after two researchers sequenced her genome and published her genetic data in a 2012 paper, without the family’s consent. The Poston Collective has covered this story previously; for more information about Henrietta Lacks and the resolution of their case read here and here. There have been other examples of the use of human biological material being solicited for specific research or clinical purposes, and actually being used for other undisclosed research. For example, in 2012, parents in both Minnesota and Texas sued the states because dried blood samples left over from newborn screening tests were used to create a DNA database, without parental consent. In the Texas case, the settlement required the destruction of 5 million dried blood samples, and in both Texas and Minnesota, resulted in more specific state-level laws requiring informed consent for blood samples retained for research. Read more about these cases here. In 2010, Arizona State University settled a case brought by the Havasupai tribe of Arizona, paying out $700,000 to the tribe. The tribe alleged that blood samples originally collected for a study on diabetes were actually used in research on mental illness within the tribe and on population genetics. The Havasupai participants were not informed of this potential use of their genetic material and did not consent to their genetic information being published. Naturally, these examples and others have inspired spirited debate within the scientific community regarding whether informed consent is really necessary with biological material, de-identified or not. Some argue that requiring informed consent is at best difficult to implement, and at worst unfeasible depending on the proposed work. They insist that it will slow down the pace of science, and may bar important research from being done. I believe that in this day and age, with so many instances of past misconduct and exploitation of people of color, it is essential that the scientific community be seen as upholding certain values. These values include respect of human rights over scientific discovery. In my opinion, it may take a little extra work and time to gain consent from study participants, but it will go a long way to maintaining relationships and inspiring trust within the community. People choose to participate in scientific studies because of the reputation of scientists as honest, trustworthy and unbiased people. As such, it would be to the detriment of the scientific community to be thought of as being careless with biological material or genetic information, or even misleading subjects for their own benefit or agenda. This last point is probably why the NIH has been so proactive in resolving this dispute with the descendants of Henrietta Lacks. The updated consent policy establishes the NIH as firmly on the side of informed consent and human right to choose what happens to their genetic and biological material, but still values sharing research findings with the rest of the scientific community. It allows the NIH to publicly recognize the humanity in human genetic and biological material. And in her own way, with the tireless advocacy of her descendants, the life of Henrietta Lacks played a role in not only advancing scientific research, but how science sees the subjects that it depends on: as human. What do you think? Is informed consent really necessary for genetic material? What effects do you think the new NIH funding policy will have on science as a whole? Is this change enough? To Stay Or to Go: Is STEM Academia Family Friendly? When I began my PhD program at the tender age of 23, many of my college friends were getting married, having babies, and starting new jobs. My Facebook newsfeed was filled with status updates about engagements and weddings, as well as pictures of ultrasounds and adorable toddlers. After a few years in my program, I started seeing more marriage/baby announcements from fellow graduate students and newly graduated postdocs. I looked around at scientific conferences I was attending, and noticed the large numbers of people with scientific posters in one hand, and small children in the other. It seemed many of my colleagues were settling down and starting careers in STEM, with their families in tow. So how do they do it? Is academia, at its core, family friendly? The obvious pro of having a significant other/spouse/family while still in graduate school is that you have a built-in support system. Regardless of the stage of the PhD process, a solid support system is key to a student’s success and perseverance in the face of inevitable adversity. Most moms and dads will talk about the joys of coming home to a child who is always ecstatic to see them, and a spouse to confide in. Although, I am unmarried and don’t have children (for now), I still credit my significant other with being the ever-present confidante/cheerleader that I needed to finish my program. Many graduate students I encountered brought a spouse with them to school, and some began families while matriculating through their PhD. Financially, having a family or a spouse can be beneficial to an academic as well. Most PhD programs do not pay graduate students very much in the way of stipends, so having an employed spouse to split the bills with makes the financial load easier. Although academics work much longer hours than their non-academic counterparts, their schedules are also a lot more flexible. Some parents are able to choose a work schedule that best fits their familial needs. They can also leave work to handle unexpected family emergencies without a problem, and in some cases, can even work from home. This flexibility of scheduling can certainly make carving out time for family that much easier. However, once the doctorate is complete, having a family or a spouse can actually be a reason for leaving the academy. Previous studies have shown that women with STEM PhDs are up to twice as likely as their male counterparts to leave their STEM jobs because of the perception of their STEM work environments as unfriendly towards women. This perception of academia as an unfriendly work environment, where healthy work-life balance is a scarce commodity, is clearly something that needs to be addressed by the academic community as a whole. In a brief released in March 2014, the American Institutes for Research (AIR) highlights the differences in early academic career outcomes here. The AIR study found that married women are the least likely to start academic careers at prestigious research institutions as compared to their unmarried female peers and their male (unmarried and married) peers. This isn’t just a problem for women. Married men and women who receive PhDs in STEM are overall less likely to begin their careers at a research institution, than their unmarried counterparts. The AIR study also reports that having a child results in a “disadvantage” for both men and women for securing a position at a research institution. Of those with academic positions, only 14% of women and 22% of men had at least one child under that age of 5 at the time of earning their degree. Women and men without young children were also significantly more likely to secure positions at research institutions, as compared to those with at least one small child. While I would not call having children a “disadvantage” in finding job security, they are a significant life change, which can have lasting impacts on the careers of the caregivers. 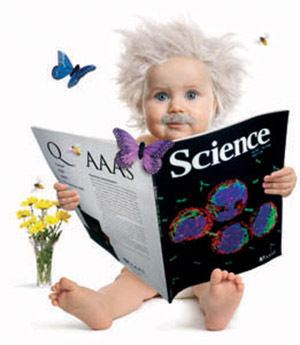 Scientists with families generally have different priorities than a single academic. Whereas a PhD with no children may feel comfortable working 60-80 hour weeks, some scientists may want a less demanding work-schedule so that they can guarantee time with the kids. It should be noted that the added financial responsibility of caring/providing for children could be an issue for parents considering leaving the field. The STEM career path in academia is filled with opportunities to ‘pay your dues’, but these training positions simply may not pay enough to support a family. And although traveling to other parts of the countries might result in better job opportunities, a choice is often made to limit the job search area so as to not to unnecessarily uproot children or spouses. If this means turning down prestigious job opportunities or even leaving the academe altogether for the sake of family, these PhDs appear willing to make the sacrifice. But in forcing them to make a choice between family and science, the academy loses the diversification so necessary for its survival. While an academic career in STEM has innate benefits for young families, there seems to be a disconnect between what families need and what the academe is providing, leading to an exodus of many talented researchers. But in the interest of diversifying the professoriate and thus the pool of knowledge, shouldn’t the needs of scientists with families also be accommodated? These leads to the question of how to best accommodate families of STEM academics. And while much of the current research focuses on the PhD recipient, I’d be curious to learn about academic life from the perspective of the non-STEM associated significant other. What is it like to be the support system for someone as they traverse the academic career track? Are there ways that your significant other’s career has negatively or positively affected your personal or professional life? How can the academe evolve so as not to push scientists with families away from the academic career pathway? What do you think? Can STEM careers be good for families? Are you a STEM PhD with a family or the spouse of a STEM PhD? Why did your family decide to stay in STEM or go?